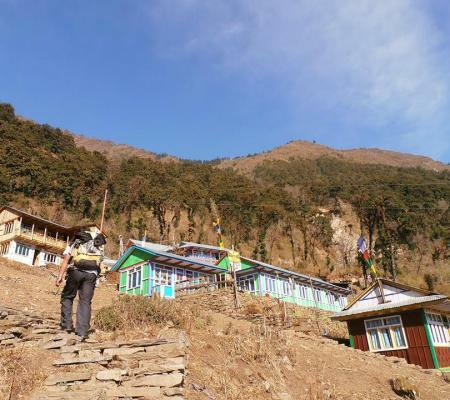 Tamang Heritage Trek is one of the fascinating trekking trails into the dynamic Tamang village in Langtang, situated in the northern part of Kathmandu. 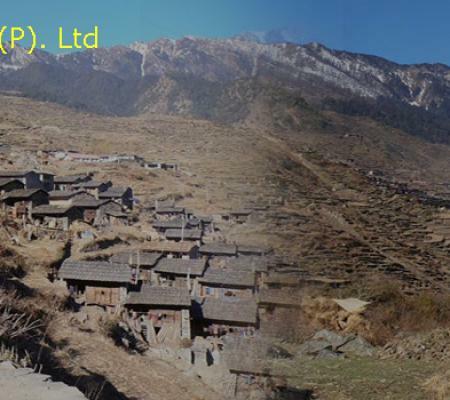 Tamang Heritage trail is the perfect way to experience the wilderness of Langtang National Park near Tamang heritage. This brilliant, unique and cultural trek allows you admire undamaged natural setting, Buddhist way of living, traditional culture of native people and their genuine warmth and welcome. You will be amazed to view the rich architecture of their mountain house, impressive ancient monasteries, and the beautiful landscape of alpine terrain. You can find, the way of life is heavily influenced by the Tibetan culture over there. Tamang people are very famous for their arts, crafts and their unique culture. Beside their culture, Tamang Heritage trail also provides an opportunity to bath in the Natural Hot Spring, visit the picturesque village named Gatlang and encounter with rare and endangered wildlife around the secret lake of Parbati Kund. Excellent view of snow-capped mountains during the trail makes your trek worth visiting and able to create one of the best memory in your life. You can have some magnificent views of Mountains such as; Mt. Manaslu, Ganesh Himal, Dorge Lakpa, Langtang Lirung, Jugal Himal, Tibetan mountains, Palder peaks and other delightful peaks. 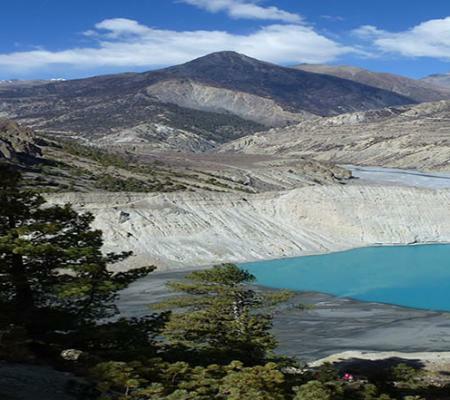 Our 13 days Tamang Heritage trek starts from Kathmandu. We drive towards Syabrubesi region of Nepal. Our trek begins in Syabrubesi towards the mountainous region through the trails of steep roads and passes through different green forests. 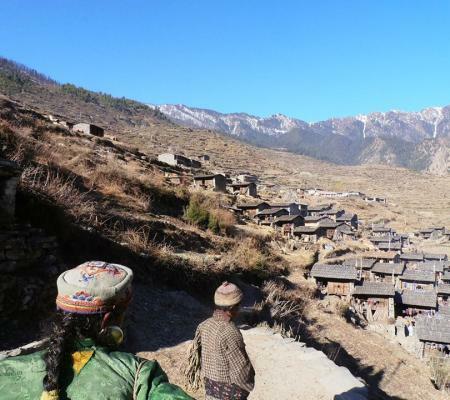 We’ll be rewarded with beautiful mountain views and different cultural villages throughout our trek. Following the route of Gatlang, we continue our trek towards Tatopani. We’ll stay in a Lama Hotel before we trek to the Langtang Village. Our trek ends back in Syabrubesi. Finally, we drive back to Kathmandu for final departure. Day 02: Kathmandu Valley Sightseeing and trek preparation. Beautiful rhododendron and pine forests. After your arrival at Kathmandu Airport, our representative will greet you and drop you at your hotel in Kathmandu where you can be fresh and do rest. In the evening our representative will provide you a brief explanation about the further trek and you can enjoy Nepalis dinner in the restaurant. Overnight at Kathmandu. Day 2 : Kathmandu Valley Sightseeing and trek preparation. Today, it is a rest day or preparation day. After a short rest, we’ll manage you to visit some major religious and historical places in Kathmandu Valley. You can begin our sightseeing tour within Kathmandu, observing the UNESCO World Heritage Sites such as; Royal Hanuman Dhoka Square, Pashupatinath Temple, Swoyambhunath also called monkey temple, Boudhanath Stupa. Overnight at Kathmandu. Day 3 : Drive from Kathmandu to Syabru Besi. Next morning, we can drive towards the Syabru Besi, the starting point of the trekking. Eight hours of the straight scenic drive will take you to the beautiful Syabru Basi. You can enjoy some small urban and villages on the way to Syabru Basi. Overnight at Syabru Besi. Day 4 : Trek from Syabru Besi to Gatlang. 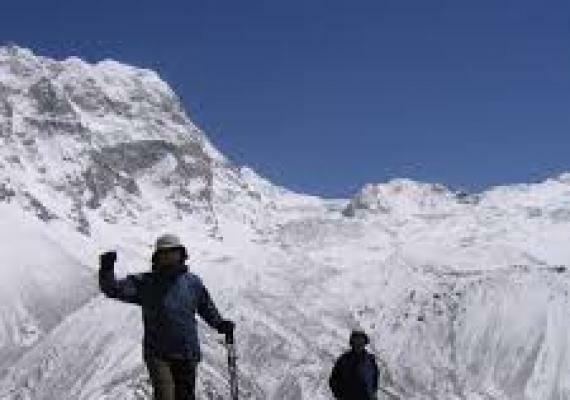 After early breakfast, we begin our trek with the steady climb up to the top of and achieve the panoramic view of Langtang Lirung range and Ganesh Himal. After an hour of walking, we reach our next destination Golijung Valley, where we will stop for a lunch. 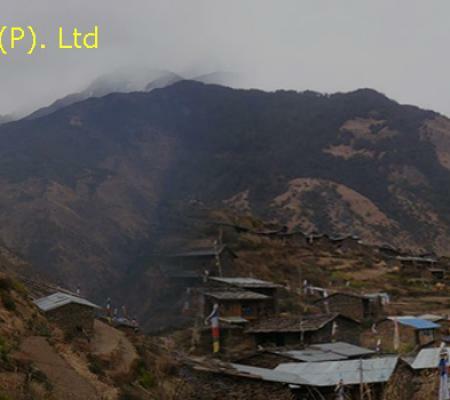 Passing through various Tamang valleys, we finally reach our destination Gatlang valley. Overnight at Gatlang. Day 5 : Trek from Gatlang to Tatopani. Today, after early breakfast, we head towards Tatopani. Around 5 to 6 hours of the genital trail will take you to Tatopani. During our descending trail, the trail offers amazing and wonderful panoramic view of mountains includes Ganesh Himal, Langtang Lirung and many more. After we reach Tatopani, you can enjoy a hot spring bath. It is believed that once you bath in this hot natural water it will release all the skin disease. Overnight at Tatopani. Day 6 : Trek from Tatopani to Thuman. After early breakfast, we start a long walk Up and down the trail along the forest from Tatopani to Thuman, which takes 5 to 6 hrs. by foot. Stay overnight at Thuman. 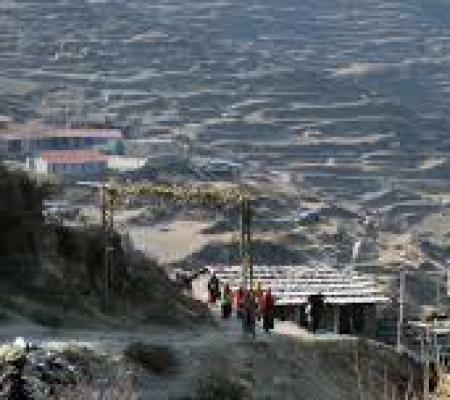 Today, the trek continually descends to Timure Village, which takes about five hours of straight walking. While trekking from Thuman to Timure you can visit nearby historical Rasuwagadi. It is the border area with Tibet that can be reached after crossing the bridge. Timure is an ancient salt trade route to Tibet. Then we trace the trail to Timure village and rest. Today, it is a continual walk through the rhododendron forest. The trail goes downstream for an hour to an easily missed footpath branching left up to Lingling. 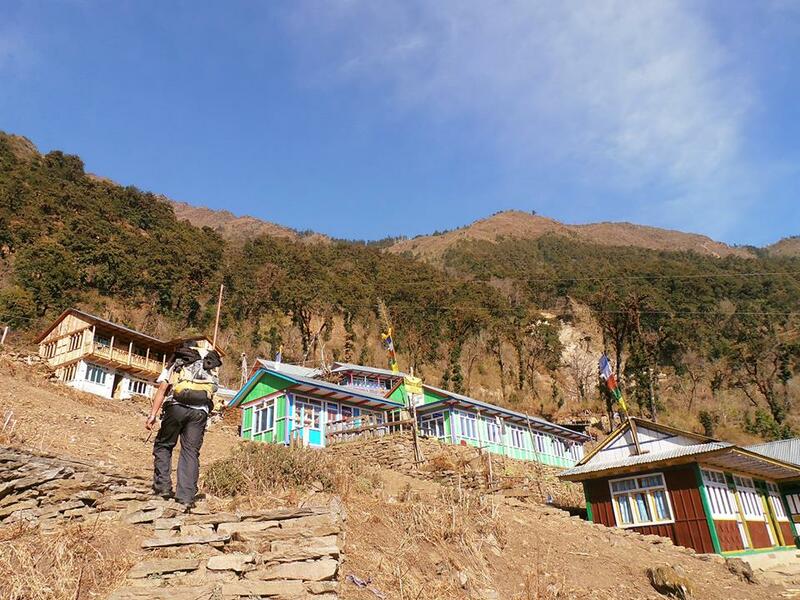 You can get food and good lodging is available at the traditional Homestay in Lingling. After exploring Briddim, we head towards Lama hotel following the ridge of the rhododendron forest. We reach Lama hotel after 6 hours of walk. 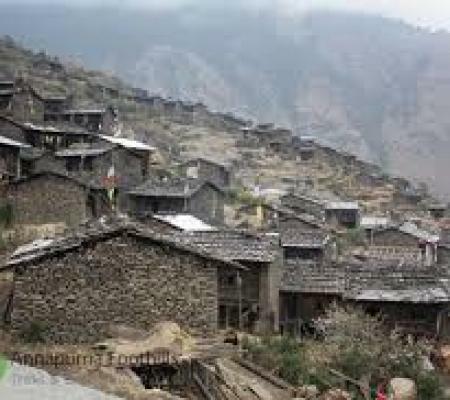 The village is located on the bank of the Langtang river. 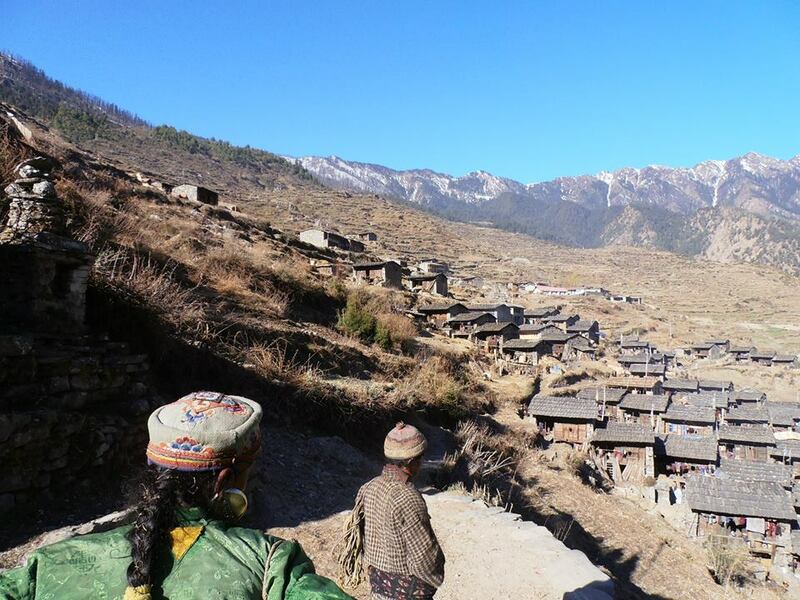 After a few days of quality and good times in Langtang valley, we are trekking back towards Syabru Village. The trail continues through dense forests, some descents, and ascents, passing water chortens and water mills, we finally reach the Langtang Valley. 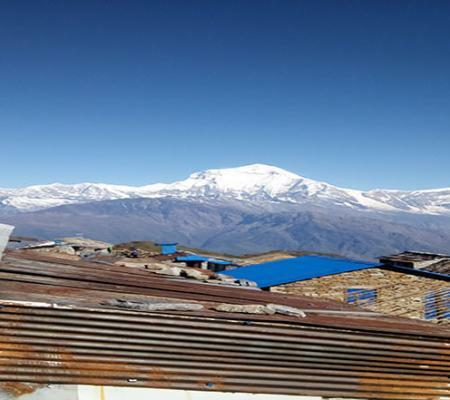 We are going to experience the unique cultural lifestyle of people living in the region and amazing landscapes. After breakfast, we trek to Dhunche a small and beautiful town at the end of our trekking trip. 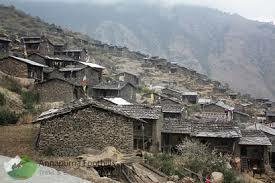 Today’s trek takes us through some more Nepali ethnic mountain villages and natural wonders before reaching Dhunche. Today, after breakfast, we drive back to Kathmandu on the same route we took to Syabru Besi before starting our trekking. Day 13 : Kathmandu rest day and enjoy farewell dinner. A leisure day in Kathmandu which can be used for exploring. You can visit holy temples like Pashupatinath, Swyambhunath and many more. And in the evening. you can enjoy farewell dinner with Nepali cultural program. Our representative will help you to reach your final destination. Transfer from Kathmandu - Syabrubesi – Kathmandu. Luch and Dinner in Kathmandu.